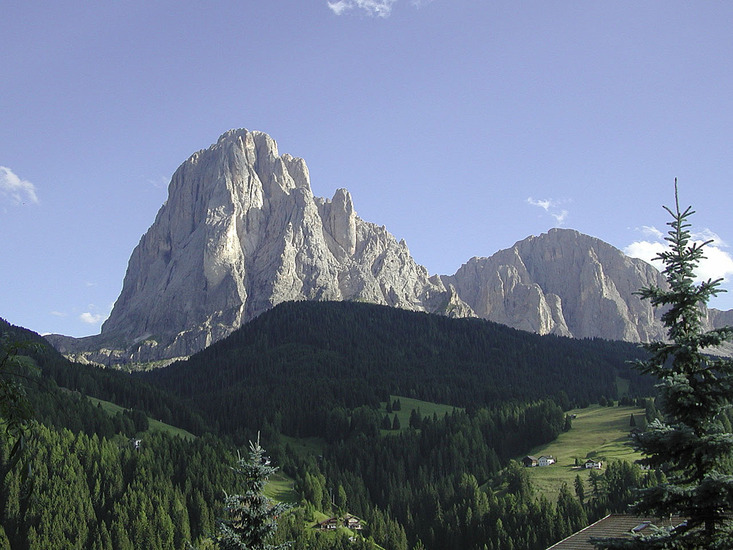 One of the most difficult "normal" routes in the Dolomites with grade II/III rock climbing. About 100 meters of steep glacier climb inside the mountain in the "Untere Eisrinne" (lower ice groove). Last meters to the summit are very exposed with a great view. Basic climbing techniques (belaying, crampons, ice axe) are required. Please submit any useful information about climbing Langkofel that may be useful to other climbers. Consider things such as access and accommodation at the base of Langkofel, as well as the logistics of climbing to the summit. Use this relief map to navigate to mountain peaks in the area of Langkofel.